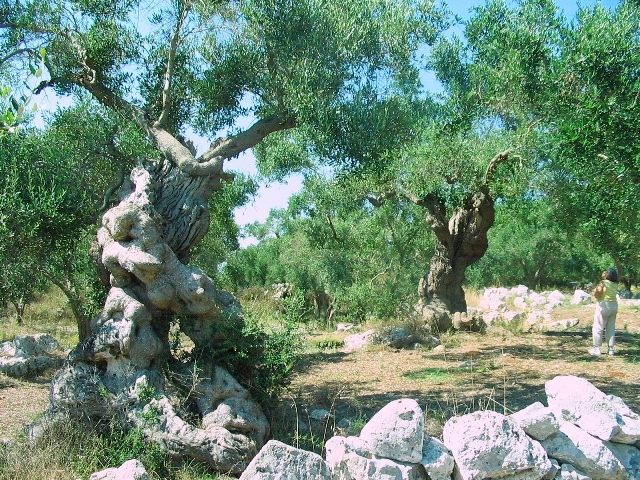 While many majestic trees demand our respect (California redwoods and giant sequoias come to mind), if I had to name one type not from my native California to bring with me on Noah’s Ark, it would be the olive tree. I’m in good company as Thomas Jefferson apparently said: “The Olive Tree is surely the Richest Gift of Heaven.” I haven’t found the primary document attesting to this statement, but there’s a Facebook page dedicated to the quote so it must be true. Despite its relatively modest size, the olive tree has a commanding aura that brings to mind that wise old teacher you had in 3rd grade – wise and old, yes, but also all-knowing, imposing and striking. 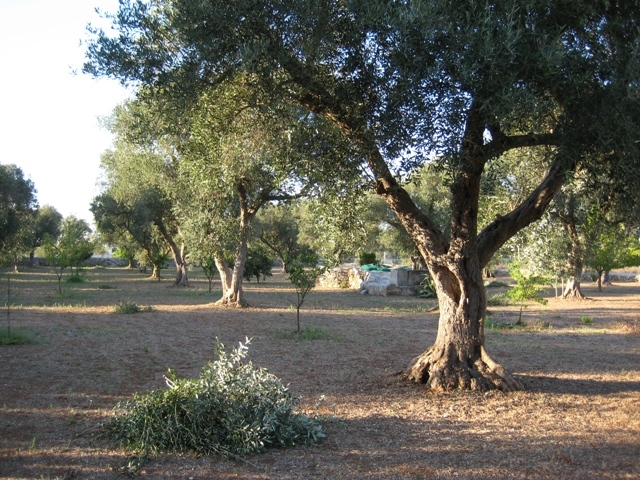 I suspect my love for the olive tree has something to do with me having spent much time in the past several years tending to the needs of the 200 trees in an olive tree grove in Salento, one of the many many areas around Italy where you can find these trees a plenty. The olive tree is essentially a sort of large bush so if you don’t prune vigorously you’ll end up with shrubs sprouting up all over the base. This takes away resources that would be destined for the rest of the tree, but even more worrying is that it makes it difficult to collect the olives come harvest time, which is right about now in most of Italy. Speaking of the harvest, I feel compelled to explain why we are paying homage here to the olive tree rather than the olive itself or perhaps even olive oil. I love olive oil as much as the next guy, actually much more than the next guy. It’s just that the olive tree is so awesome to look at and when you’re standing in the middle of a grove surrounded by hundreds of trees perfectly lined up you realize there’s hope for the world. 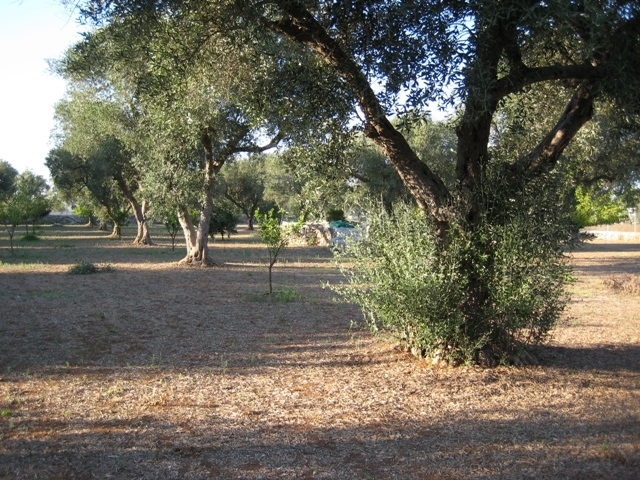 And if you’ve had the good fortune to eat a meal in an olive grove, or perhaps attend a wedding reception surrounded by hundreds of trees, well then you know what I’m talking about. If all this olive tree talk has you craving that perfect extra virgin olive oil for you next meal, here’s a primer to help you get the choice right.